Dr. Ryan Gardner is currently the Associate Professor of Trumpet at Oklahoma State University. Originally from Santa Monica, California, Dr. Gardner received his Bachelor of Music from the Eastman School of Music with highest distinction, his Master of Music from Rice University - Shepherd School of Music, and his Doctor of Musical Arts from the Manhattan School of Music. While in New York, he worked with former principal trumpeter of the Metropolitan Opera Orchestra, Mark Gould, and the former second trumpet player of the New York Philharmonic, Vincent Penzarella. Dr. Gardner's thesis is based on Penzarella's pedagogical techniques and philosophies, which include innovative ideas on breathing, air usage, and brass playing, as well as performance psychology. Dr. Gardner has been teaching students for more than a decade. Prior to his appointment at Oklahoma State University, Dr. Gardner served as the Assistant Professor of High Brass and the Jazz Band Director at the University of Arkansas - Fort Smith. In New York, Dr. Gardner enjoyed a successful free-lance and teaching career. He held faculty positions at the Manhattan School of Music Precollege, Third Street Music Settlement, Music Conservatory of Westchester, Greenwich House Music School, and Meyer London School, as well as at the Manhattan School of Music Summer Camp. Under the direction of Dr. Gardner since 2011, the Oklahoma State University Trumpet Studio has taken extraordinary strides. Dr. Gardner's students have been accepted on scholarship into distinguished graduate programs including the New England Conservatory, DePaul University, Carnegie Mellon University, University of Southern California, University of Louisville, University of Colorado and University of Texas-Austin. At the 2012, 2013 and 2014 International Trumpet Guild Conferences, the OSU Trumpet Ensemble received rave reviews and standing ovations for their performances. Dr. Gardner's students have achieved success at the regional, national and international levels, most recently winning the 2014 National Trumpet Competition Ensemble Division and International Trumpet Guild Awards. Dr. Gardner, outside of his work at the University, maintains his private studio and additionally gives master classes and lectures internationally while continuing to perform. As an orchestral performer, Dr. Gardner has played with the Los Angeles Philharmonic, the Honolulu Symphony, the Charleston Symphony, the Rochester Philharmonic, the Tulsa Symphony, the Tulsa Opera, the Artosphere Festival Orchestra, the Fort Smith Symphony, the New World Symphony, the Spoleto Festival Orchestra USA, the Music Academy of the West Orchestra, the Aldeburgh Festival Britten-Pears Orchestra in England, and the Verbier Festival Orchestra in Switzerland, directed by James Levine. He has also performed in many prestigious venues including Carnegie Hall, Symphony Space, Merkin Concert Hall, Avery Fisher Hall, Alice Tully Hall, and the Palau de la Musica Catalunya in Barcelona, Spain. Dr. Gardner continues to have an active orchestral performing schedule. 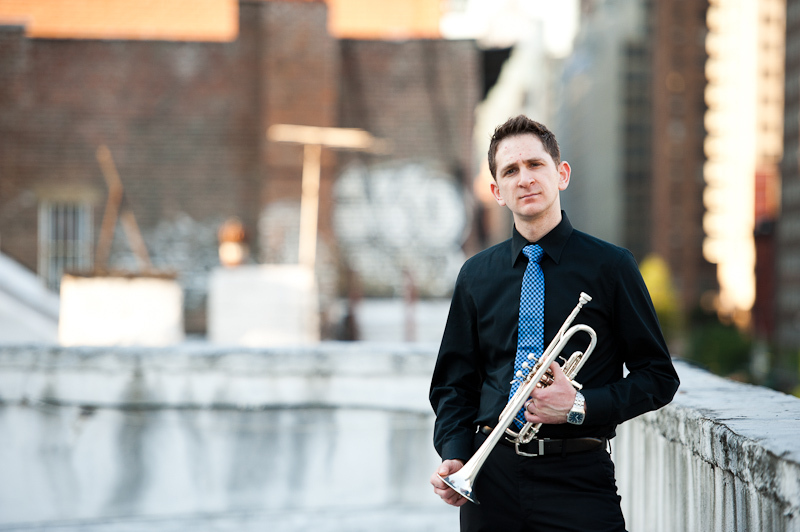 He plays principal trumpet with the Distinguished Concerts International Orchestra in New York City and is a member of the Symphony of Northwest Arkansas and the Artosphere Festival Orchestra. Dr. Gardner also stands out as an avid chamber musician and soloist. Ensembles of note are the Three-Fifths Trio, the OSU Brass Trio, the OSU Brass Quintet, the Eastman Brass Quintet, the Rochester Philharmonic Brass Quintet, the Houston symphony Brass Quintet, and the Seventh Partial Brass Quintet, as well as the new music ensembles Alarm Will Sound and Crash Ensemble. Dr. Gardner has also performed with Broadway touring shows including Young Frankenstein and The Three Phantoms. As the Concerto Competition winner in trumpet at the Eastman School of Music and the Music Academy of the West Brass Ensemble Competition, Dr. Gardner soloed with both the Eastman Wind Orchestra and the Music Academy of the West Brass. He has also been a featured soloist with the Southeast Symphony and most recently with the OSU Symphony Orchestra. Dr. Gardner has been privileged to work with artists such as Ray Charles, Doc Severinson, Wayne Bergeron, Harry Watters, Lenny Pickett, Mark Inouye, Don Green, Allan Vizzutti, the Canadian Brass, Michael Tillson-Thomas, Esa-Pekka Solonen, and David Zinman, to name a few. He can be heard on the Naxos, Mark Records, and BX Entertainment labels and is a Bach performing artist and clinician. Holding memberships with professional associations, Dr. Gardner actively participates with the International Trumpet Guild, College Music Society, and National Association of College Wind and Percussion Instructors, as well as the National Trumpet Competition. In 2010, Dr. Gardner was honored for his philanthropic work as Spotlight Artist of the Year by Music for Autism. He is now the Artistic Coordinator for Music for Autism, programming music nationally for those with autism and their families, and most importantly, helping raise awareness and advocating for those with autism. Dr. Gardner is indebted to all of his main trumpet teachers: Vincent Penzarella, Mark Gould, Marie Speziale, James Thompson, Boyde Hood, and Paul Salvo. He is thankful to have had additional studies with Adolph "Bud" Herseth, Jens Lindemann, Ryan Anthony, Mark Niehaus, Laurie Frink, Doug Prosser, Michael Sachs, Mario Guarneri, Joe Burgstaller, Ed Carroll, Thomas Smith, and Per Brevig.